Fierce! That’s what this dance is, if you can compare a hyper-pumped war dance to a waltz. You want to feel like a powerful warrior? Afro, baby. That’s where it’s at. 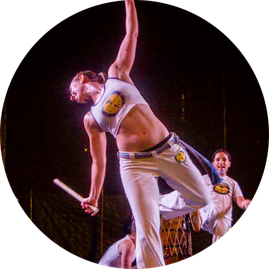 The combination of powerful full-body movements and rumbling drum rhythms hits audiences square in the “oh, my GAWD! 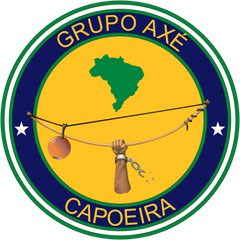 Maculêlê is an Afro-Brazilian dance created by African slave workers on the sugarcane plantations in Bahia, Northeast Brazil. 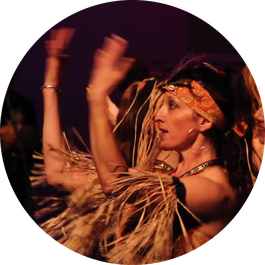 The dance is choreographed based on the movements and drum rhythms used during the harvest. The slaves used machetes to cut the sugarcane, but later they developed a form of dance with sticks. It looks pretty awesome. 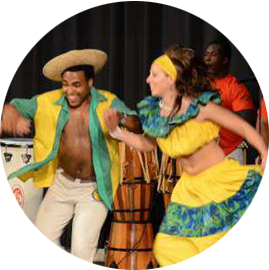 Coco De Roda is a dance from the beach regions of the Northeast of Brazil and has a strong African drumming influence. 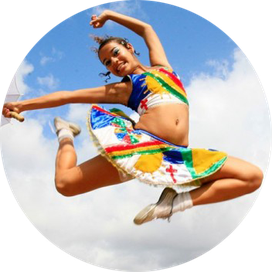 The choreography of the dance involves steps and movements traditional of the indigenous Tupis peoples of Brazil. Danced by couples, this is a great way to let loose and fall into a complicated relationship with someone. Booty booty booty booty everywhere! 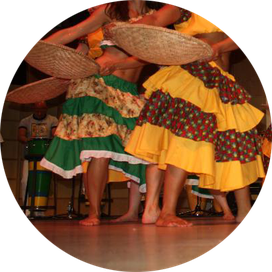 With traditional sounds of samba from Salvador, Bahia, combined with sounds from other Caribbean music genres like reggae, Samba reggae’s got that booty. Shake it, rattle it, bounce it. We don’t care. There are grandmothers dancing this is Brazil. In church. Right now. Booty bounce is in their blood. This dance style will get your heart racing and your feet moving to the exhilarating beat! 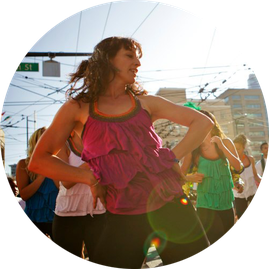 Danced individually, this fantastic class will teach you footwork variations, work on your ability to move faster, increased isolation, and will continue to develop your rhythm and coordination while having lots of fun! Colheita is a traditional harvest dance from Brazil that is based on collecting and sifting beans at the harvest. Featuring traditional colorful and flowing skirts, dancers swing woven baskets rhythmically at a hypnotizing pace. Light and fun, this is the polar opposite of a stone cold warrior dance. Frevo is a wide range of musical styles originating from Recife, Brazil, all of which are traditionally associated with Carnival. The word frevo is said to come from frever, a variant of the Portuguese word fever (to boil). It is said that the sound of the frevo will make listeners and dancers feel as if they are boiling on the ground. Sounds about right. You also get to hold a teeny little umbrella while you dance, so you've got that going for you, too.